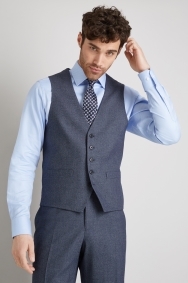 With its textured navy material and classic regular fit cut, this waistcoat will give your smart look a stylish accent. Excellent addition to a lovely suit. Fits well, quality is good, and it’s great value for money. 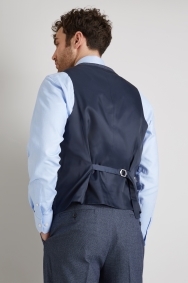 Would have preferred a longer waistcoat but only available in medium - why is that?